FirstEnergy Corp. By: FirstEnergy Corp. 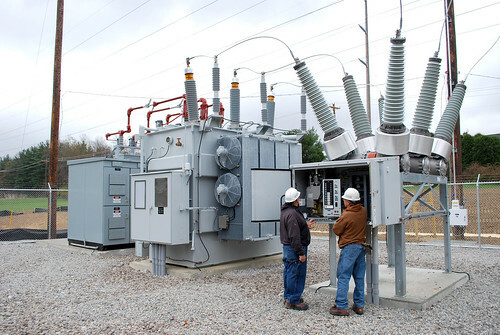 The new substation was built using precast concrete foundations, a large transformer, switching gear, and circuit breakers. 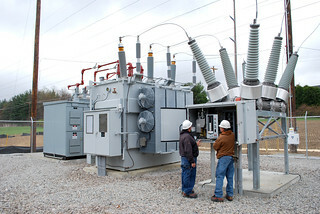 Ohio Edison personnel are shown inspecting the control panel for the circuit breaker.